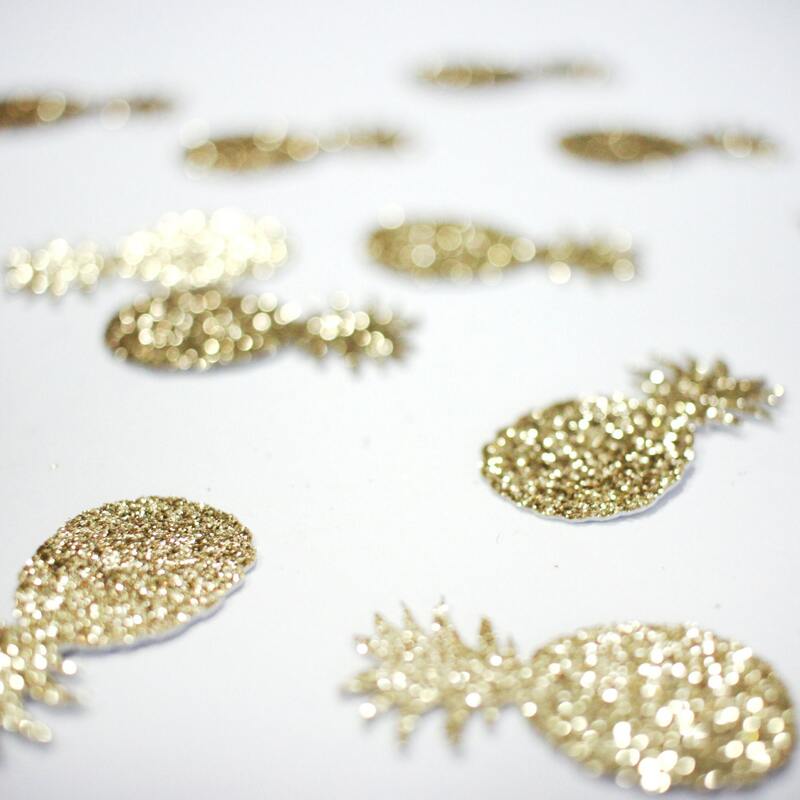 Pineapple Confetti - Tropical Party Confetti. Birthday Party. Bachelorette Party. Bridal Shower. First Birthday. Hawaiian Party. 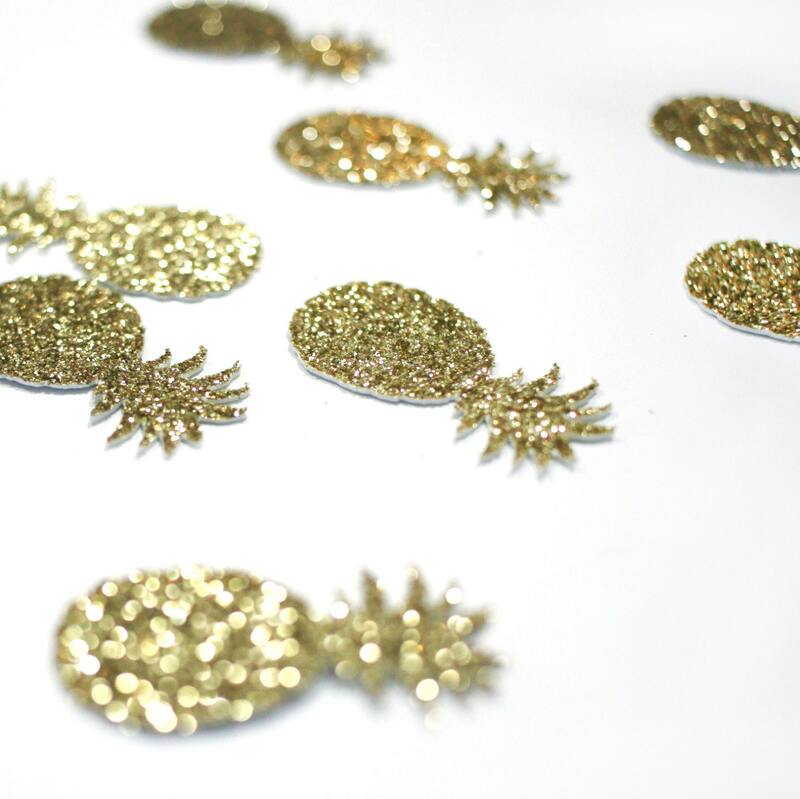 Our sparkly glitter pineapple confetti is the perfect addition to your tropical celebration! Good quality. Easy to order. Came in great time. 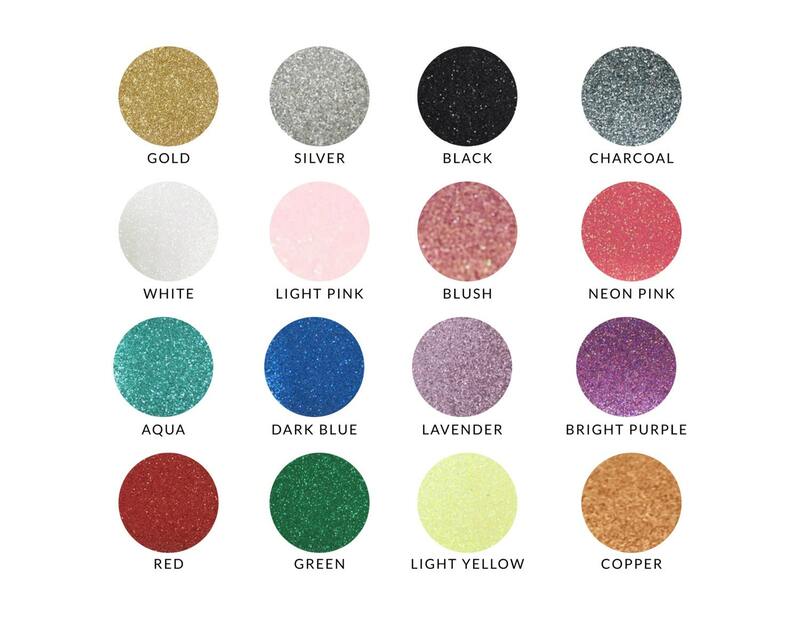 I did not receive my item by the 2-3 day shipping period that I was given the option for at checkout (paid $24 extra to have the items on time) and it was for a 16th Birthday Party! Being a first timer on Etsy, I didn’t know to go to each shop and read their rules/guidelines for shipping. When contacting the shop, they did not try to resolve the situation, but stated in a kind effort that I should read their site and shipping methods better. It was disappointing not only to have items I cant utilize (12 days after purchasing), but also that the shop made no effort to resolve the issues. I wasn’t going to write a negative review, I was just going to count my losses, however, I don’t want someone else to have these issues. Hopefully they’ll see this review and read all the guidelines/rules.